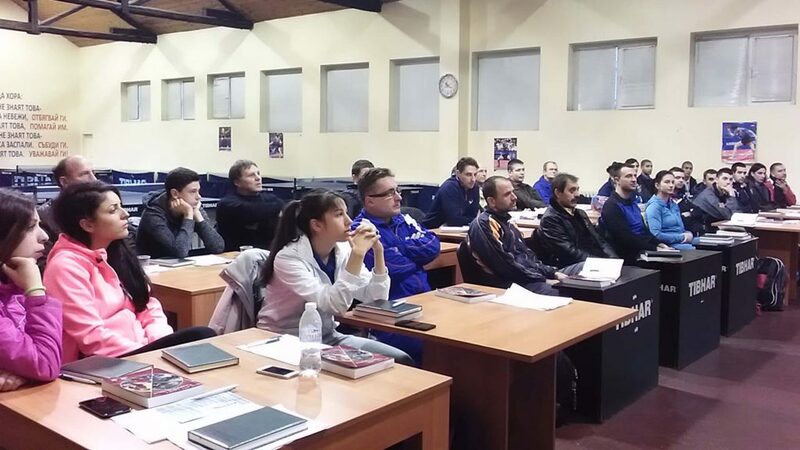 Named the European Capital of Culture for 2019, Plovdiv, the second largest city in Bulgaria, the largest being the capital Sofia, was the home for an ITTF/PTT Level One Coach Education Course and Training Camp for players under 12 years of age, from Monday 28th November to Wednesday 7th December. Supported by Olympic Solidarity and organised under the auspices of the ITTF Development Programme, the home for proceedings was the Stoyanstroy Academy; the expert on duty was Frenchman Nicholas Guigon. Notably the premises proved to be of a high quality thanks to the expertise of the local organisers. 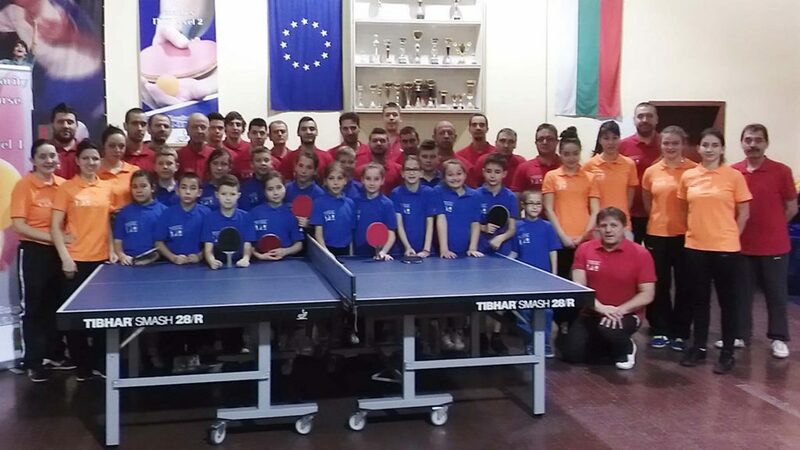 Veneliva Tsvetkova and Tsvetomir Tsonev from the Bulgarian Table Tennis Federation alongside Ani Sarieva and Stoyan Sariev from the Stoyanstroy Academy, proved ideal hosts. A total of 30 students attended the course, seven being female; notably of the overall number three were under 18 years of age. Meanwhile, for the training camp 16 children, from four regions in Bulgaria, were present. Impressive numbers and an impressive result; the required 30 hours completed, the result at the conclusion of proceedings was a 100 per cent pass rate. Similarly, the response from the young players who attended the training camp was most encouraging with Nicolas Guigon introducing innovative methods to determine talent; he introduced juggling exercises to test the skill level of the young players. Matters concluded with Nicolas Guigon presenting training shirts and racket coverings that had been collected in France by Ping Sans Frontières, an organisation led by Sara Hanffou, which assists countries in their efforts to promote table tennis, especially at grass roots level. The presentations followed a tournament in which 42 players participated; 16 youngsters joined 26 adults, who were either players or coaches in a competition that witnessed 14 teams being organised each with three players.